Service is the cornerstone of our company. ISO 9001:2008 certification ensures that the quality of service to our Customers continually improves. Service is the cornerstone of the company. 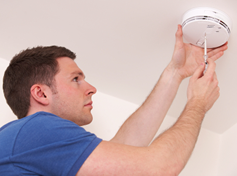 We offer a free evaluation of your fire detection system which includes a report and maintenance agreement. Our experience in fire detection goes back to 1989 and fire evacuation even further to 1983. Over and above the possible loss of life and injury in a fire, 60% of businesses never recover from a fire. You call us out when you need us. Please try not to use more than one company to service your systems, eventually this will prove to be a costly mistake. proven to be more costly than using a single contractor. This premium SLA includes all labour, and replacement of parts and equipment with guaranteed turnaround times. MeyCom has completed over 1000 projects in the past 16 years. 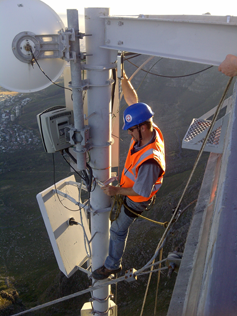 The Installation Department specialises in turnkey projects, designing, managing, installing and commissioning systems. We have completed projects outside of South Africa in: Mozambique, Tanzania, Ghana, Sierra Leone, Namibia, Seychelles and the UK. Fire Safety, we offer a free evaluation of your fire detection system which includes a report and maintenance agreement.